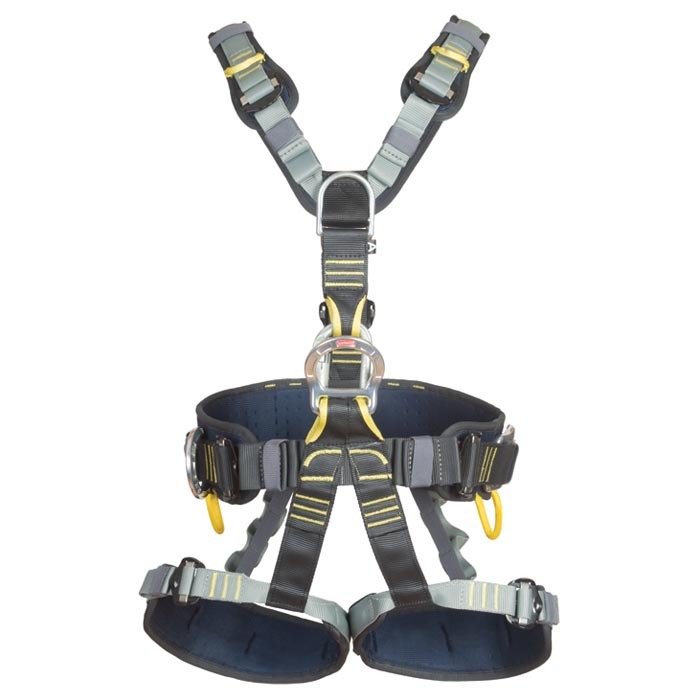 Hercules Evo full body harness is an EN361 certified full body fall arrest harness. Steel connections with aluminum side work positioning rings. Hardware not included with product. Locking oval carabiner sold separate. Triple lock carabiner preferred.